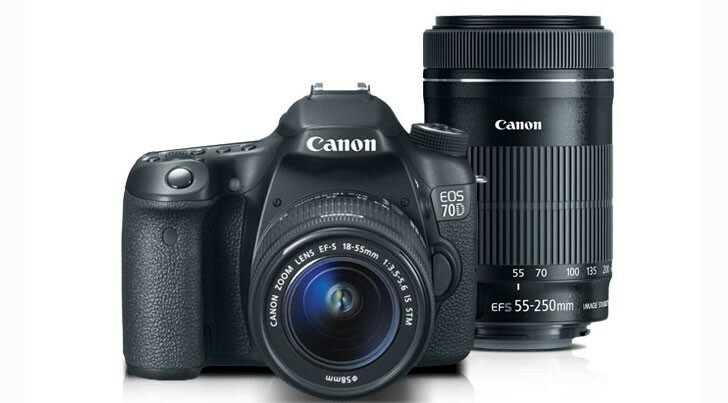 There is a top-rated merchant on the Internet selling a refurbished Canon EOS-70D camera with two lens - EF 18-55mm f/3.5-5.6 IS STM and EF 55-250mm f/4-5.6 IS STM for $700. The kit comes with one year Canon USA warranty. The Canon EOS-5D Mark III camera has been my pick as the best value, full frame DSLR camera for the last three years in a row. I have written posts comparing the EOS-5D Mark III to the EOS-5Ds, EOS-7D Mark II and the Nikon D810 for those thinking of upgrading to the 5D3 or buying the other cameras. You can see my recommendation for the best Canon cameras. 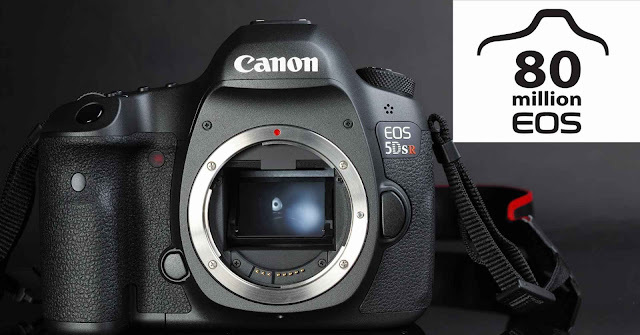 Although Canon is expected to announce the EOS-5D Mark IV some time in the first half of 2016, not every photographer needs and wants the latest and greatest gear and the EOS-5D Mark III is a great value for nature, and wedding photographers. After much deliberation, I have finally replaced my venerable EOS-1Ds Mark III with the EOS-5Ds full frame, 61-point AF, 50 megapixel camera. My 5Ds will be used primarily for nature and travel photography but occasionally for wildlife that don't move too much. The resolution of its impressive sensor, the ability to crop the image to 1.3x and 1.6x right inside the camera are great advantages for me when it comes to wildlife photography, offsetting its main disadvantage - the slow 5 fps burst rate. There is a highly-rated merchant on eBay selling the Canon EOS-5D Mark III camera for $1,899 including free shipping. The list price is $2,799. If you are interested in buying one, don't delay too much longer. 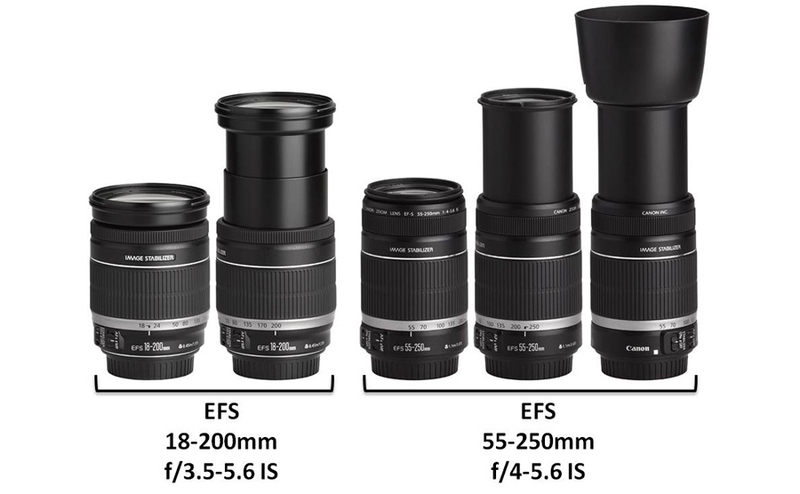 The Japanese photography blog Egami has uncovered another new Canon patent for the EF-S 55-200mm f/4-6.3 STM lens. Although Image Stabilization was not mentioned, I am certain it is in the patent and may have been overlooked. The STM line of lens are very flexible and are great for taking still photos as well as videos. It is important to note not all patents make it to the market place but there will be more EF, EF-S and EF-M lenses announcement in 2016. 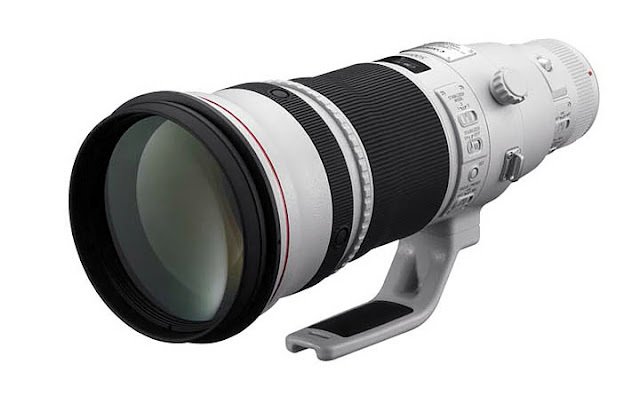 The Canon EF 500mm f/4L IS II is my favorite non Diffractive Optics Super Telephoto prime lens. 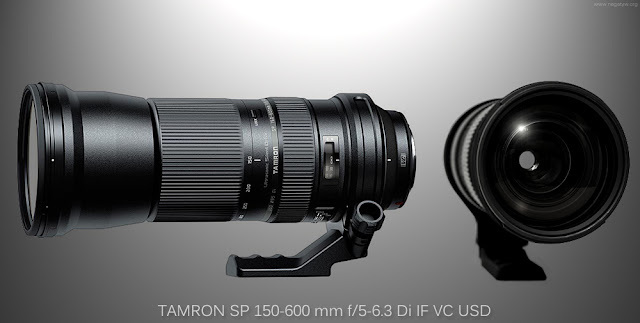 The EF 200-400mm f/4L IS USM Extender 1.4X is my favorite Super Telephoto zoom lens and the EF 400mm f/4DO IS II is my favorite Diffractive Optics Super Telephoto prime lens. You can see how the EF 500mm lens is manufactured from beginning to end. Take a look at my equipment bag and global wildlife photography taken with all the above lenses. 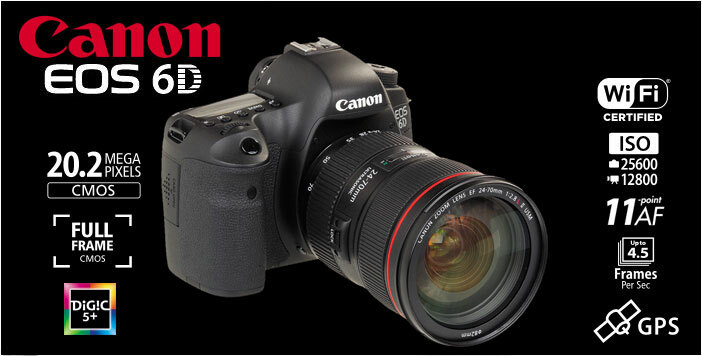 Find out how Canon's Image Stabilizer lens technology works and see my works on MichaelDanielHo.com. My readers know I have been a wildlife photographer using Canon equipment for 25 years. Tamron announced the SP 150-600mm f/5-6.3 lens in late 2013 and I tested one of the early models while traveling in Asia. You can read my review here. There is a highly rated merchant on eBay selling this lens for $699 after rebates from Tamron USA. The list price is $1,069. I am not a fan of this glass although it may be a good deal for those who are on a limited budget and shoot wildlife photography as a hobby. 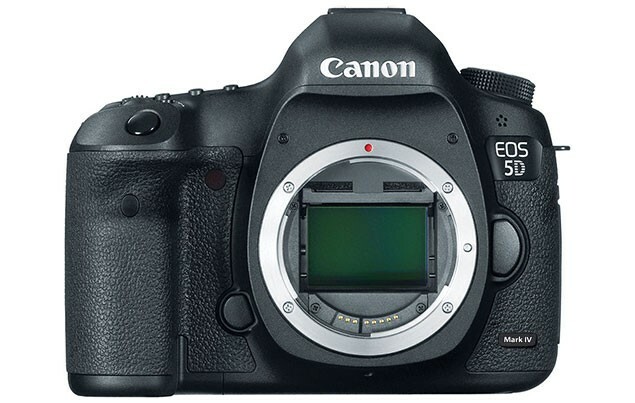 There is a highly-rated merchant on eBay selling the Canon EOS-5DsR camera for $2,924 including free shipping. The list price is $3,599. If you are interested in buying one, don't delay too much longer. Canon recently put out a list of recommended lens with this camera. After much deliberation, I have finally replaced my venerable EOS-1Ds Mark III with this full frame, 61-point AF, 50 megapixel camera. My 5Ds will be used primarily for nature and travel photography but occasionally for wildlife that don't move too much. The resolution of its impressive sensor, the ability to crop the image to 1.3x and 1.6x right inside the camera are great advantages for me when it comes to wildlife photography, offsetting its main disadvantage - the slow 5 fps burst rate. There is a top-rated merchant on eBay selling the Canon EOS-6D camera for $999 including free shipping. This is an excellent deal for anyone thinking of upgrading to full frame digital photography from either a Rebel or Powershot camera. Although I am not a fan of the Canon EOS-6D, this camera can be a good value for those who want to enter the world of full frame photography on a limited budget. Read my earlier post on the Canon EOS-5D Mark III vs. EOS-6D comparison and the Nikon D600 is added in for the three way comparison. For those trying to decide between the EOS-7D Mark II and EOS-6D, read my post on their comparison. Expect the Mark II version to make its debut some time in 2016. 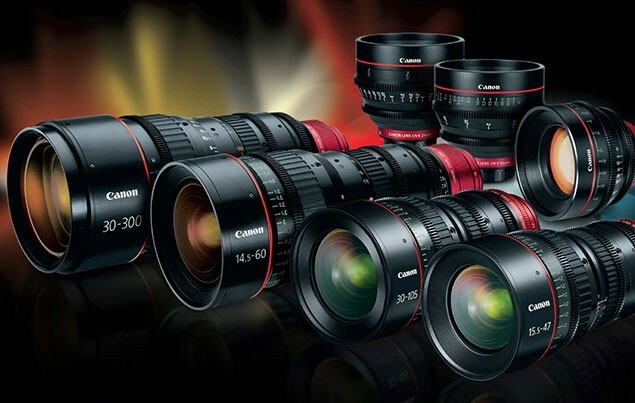 Canon is the largest photographic equipment manufacturer in the world. They have been ranked 40 out of 100 in a survey of the world's most valuable brands and have celebrated EF lens and EOS camera production of 110th and 80th million unit recently. 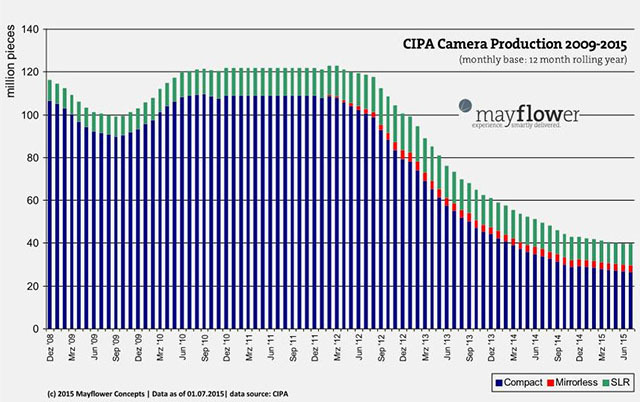 However, their profits have dropped in the most recent quarter because camera sales have been down in the last few years, primarily due to changes in consumers' taste and the advancement in the cameras of many smartphones. No camera manufacturer has not been affected by the recent downturn and Canon remains a blue chip, profitable company on the Tokyo Stock Exchange. Samsung has already shut down its camera sales operations in Germany and the United Kingdom, two of the largest economies in Europe. Sony is in the process of acquiring Toshiba's sensor manufacturing business. Lately, there are rumors Canon tried to acquire Sigma Corporation, a family owned business specializing in after market lens for other brands of cameras. This is hardly earth-shattering news in the business world. Businesses merge or get bought out all the time and the camera business is no different. Canon is a conservative company and although they have 'kicked the tires' in checking out other companies, including Hasselblad, they rarely overpay and prefer to buy on the cheap. Although the photography market is not expected to experience sales like it did 5 or 6 years ago, it is not expected to collapse either. Recently, at the 2015 Expo Show, Canon showed off a few prototype products with great potential, among them, a 120MP APS-C sensor, 250MP APS-H sensor, EF 600mm f/4 DO BR lens and the ME-20F-SH camera that 'sees in the dark'. 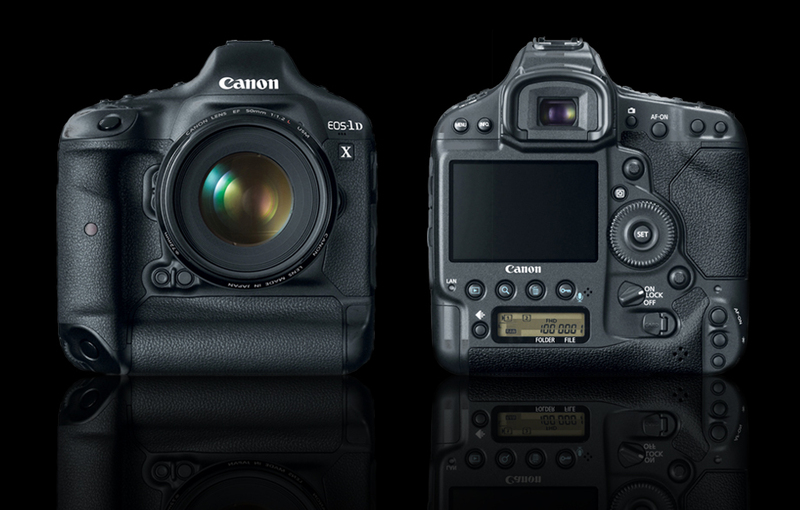 In addition, Canon is expected to announce the EOS-1D X Mark II and EOS-5D Mark IV cameras in the first half of 2016. There are many things on Canon management's plate in the next few months, but they are also actively pursuing possible deals in the areas of sensor and lens manufacturing. It could end up in an outright purchase or joint venture with another company. More to come when I receive additional information. The Japanese blog Egami has uncovered a new Canon patent for a special coating on Neutral Density filters. The new coating is to minimize ghosting. Although Canon has a small number of filters out, mostly in the Super Telephoto lens arena, they have not gone into the filter business in a big way. In recent years, the photographic industry has called for clearer criteria on entering and judging World Press Photo Contest submissions. The World Press Photo Foundation has answered this call for the 2016 Photo Contest by publishing a new code of ethics, revised entry rules, and a transparent description of the judging and verification processes. The 2016 Photo Contest changes are part of a new strategy which the World Press Photo Foundation devised during a five-month review involving 17 consultations with photographers, editors and publishers at events in 15 locations worldwide. Entries to the highly anticipated annual World Press Photo Contest are regarded as visual documents and are therefore expected to be an accurate and fair representation of the scene the photographer witnessed. The first entry rule concerning manipulation was enforced in 2009 and in the 2014 Photo Contest World Press Photo began requesting photographers submit original camera files. The challenge being addressed now is making contest participants more aware of what counts as manipulation. As photographs are at risk for manipulation during every stage in the photographic process – capture, production, publication, and circulation – the World Press Photo Foundation has introduced a new code of ethics and committed to continued use of independent digital analysts and a fact-checking team to review original camera files, metadata and caption accuracy. “It is important to stress that processing by itself is not manipulation,” states World Press Photo. That said, the new code of ethics shows that sensible cropping, sensor dust and scratches on negatives are among the few alterations in content permitted for contest entrants. Some level of colour correction as well as conversion to greyscale is accepted but changes which diverge from the original colour or obscure objects and/or people in the background of a picture are viewed as manipulation. Those entries that have made it to the second to last round of judging will be checked for manipulation. Entrants who are eligible for the fifth and final round of judging are required to provide original camera files which World Press Photo will then pass on to two independent digital analysts. If unacceptable modifications are found, a 36-hour timeframe begins where entrants are given a chance to explain the apparent alteration. From 2016 onwards, entrants whose work has been excluded for altering content in two contests will be prevented from entering the contest for the next five years. Captions will also be under strict scrutiny; requirements are outlined in the revised entry rules. As well as giving attribution for action not seen, providing sourced context of an event, the photographer must also state if he/she influenced the scene in any way. In the contest’s Portrait category which has been renamed as People, photographers must disclose in the caption if they “gave directions to a subject to pose in any way for a portrait”. Eligible photographs will be subject to an independent fact-checking team who will determine the completeness and accuracy of the captions. The World Press Photo Contest has introduced an entirely new category: Long-Term Projects – Group. Entrants can now submit a photo essay which has been shot over a period of at least three years by two or more photographers. For the first time all category prize winners (1st/2nd/3rd) will be invited to the awards and have travel and accommodation expenses covered by the World Press Photo Foundation. In addition, usage rights that applied to the Photo Of The Year winner will now apply to all awarded pictures. To determine the photo contest winners, five specialised juries as well as one general jury deliberate independently of the World Press Photo Foundation during a two week judging process. For the first time, the complete judging procedures handbook has been made publicly available. Find the handbook, entry requirements, as well as explanatory videos on the World Press Photo website here. Aside from the Photo Contest, the World Press Photo Foundation has announced that it will launch a standalone website in 2016, with its own publication name, which will act as a forum to investigate and report on visual stories. The 2016 World Press Photo Contest will be open for participants to enter their work on 2 December 2015. The deadline for submissions is 13 January 2016, 23.59 (CET). Entries may only be submitted online via the World Press Photo entry website. A username and password are required to enter and can be requested until 7 January 2016, 23.59 (CET). MELVILLE, N.Y. - Canon U.S.A., Inc., a leader in digital imaging solutions, launched a promotion for CarePAK PLUS (which includes accidental damage protection) just in time for the holidays. 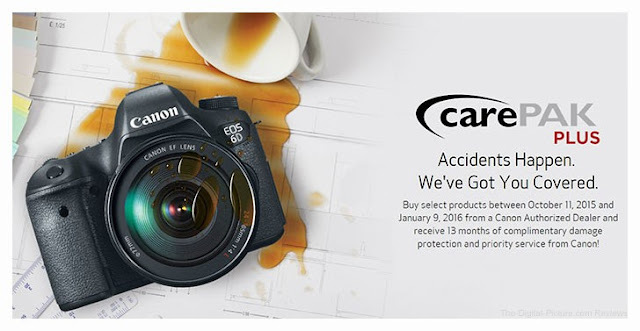 Now through Saturday, January 9, 2016, Canon’s CarePAK PLUS is available at no cost to customers who purchase from a list of six professional Canon EOS DSLR camera bodies and eight EF USM lenses plus “kit” lenses on eligible camera bodies from a Canon Authorized Dealer. Providing protection from accidental damage like coffee spills to additional hardware coverage from excessive wear and tear on mechanical and electrical issues, CarePAK PLUS coverage lasts 13 months from the date of product purchase. And as an added bonus, CarePAK PLUS is transferable, meaning the customer can give the product as a gift this holiday season and the benefits will transfer. In addition, any lens included within a kit with an eligible body will be covered. For example, if a customer purchases the Canon EOS-5D Mark III and EF 24-105mm f/4L IS USM Lens kit, the lens will be covered since it is included in the box with the body (also known as a “hard bundle”). 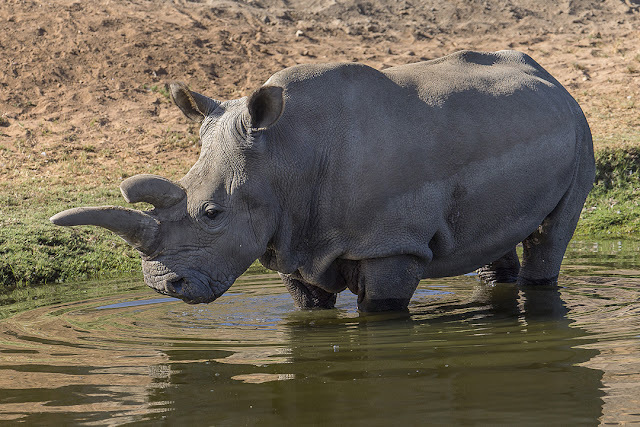 The world's rarest animal species is the Northern White Rhino. There are only 4 animals known to exist. One was living at the San Diego Zoo Safari Park in California and the other three are in Kenya, Africa. This week, there are only three Northern White Rhinos left. Nola, a 41-year-old female, who had been living at the San Diego Zoo Safari Park since 1989 was euthanized after a severe bacterial infection and surgery left her in agonizing pain. Nola was rescued from Southern Sudan in the 1970s when the country was mired in civil war and wildlife was poached indiscriminately. The Ol Pejeta Conservancy in Kenya cares for the other three remaining Northern White Rhinos. A 42 year old bull, named Sudan and two female companions. 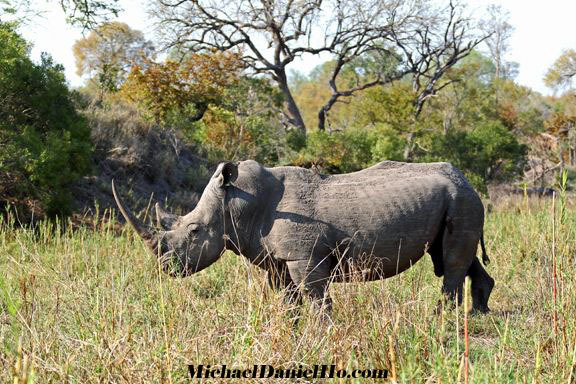 When I visited the conservancy a few years ago, I had the privilege of seeing the animals. They are under armed guards 24 hours a day. Sadly, Sudan is too old to be sexually active and Rhinos only live to an average age of about 40 years in the wild. The reason Rhinos, Elephants and Tigers are facing the danger of extinction is mainly due to relentless poaching in order to satisfy the black market demands in Asia for 'medicine' and ivory cravings. Rhino horns are primarily made of Keratine, the same substance found in our nails and have absolutely no medicinal value or quality. Scientists have preserved some of Sudan's sperm in liquid nitrogen and is trying to obtain eggs from the two remaining females. The hope is to find a Southern White Rhino female as a surrogate mother and see if they can artificially implant the embryo and hope it may develop into a Northern White Rhino calf. The chances are slim but everything must be done to see if the experiment can work. 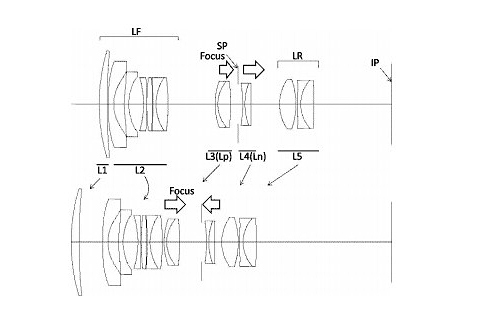 Egami, the Japanese photography blog has discovered a new patent for a 25-125mm f/2.8 lens for the Canon EOS Cinema line. The patent refers to a Super 35mm sensor. 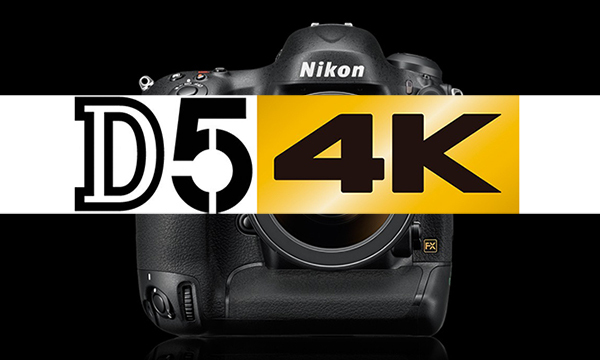 A few days ago, Nikon officially announced the development of the D5 camera. End of story. No more information was provided. Their top-of-the-line D4 camera was announced at the CES in 2012. 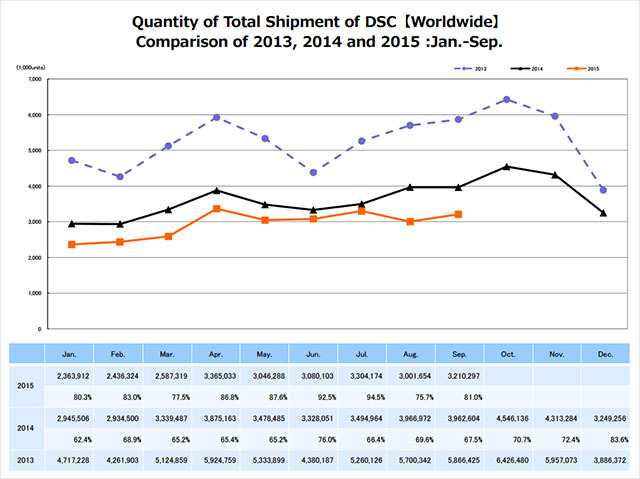 Perhaps Nikon is deliberately coy about the D5 announcement to generate more excitement. If history is any guide, they may just announced the D5 at the CES 2016 in January in Las Vegas. 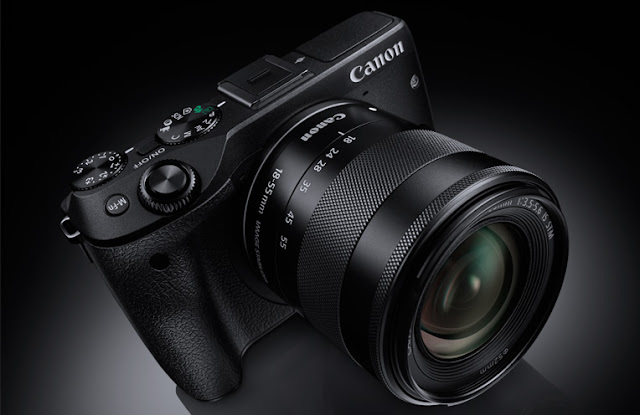 Canon is expected to announce their EOS-1D X Mark II camera after Nikon, perhaps in mid Q1, 2016. My readers know I have picked the EOS-1D X camera as the best full frame DSLR body three years in a row for sports and wildlife photography. Although the Mark II is scheduled to come out in a few short months, not everyone needs or wants to upgrade to the latest and greatest. There is a seller on eBay selling the 1DX for $3,899. The current model is a fine camera and at almost half the price of the new body, it is really a bargain. 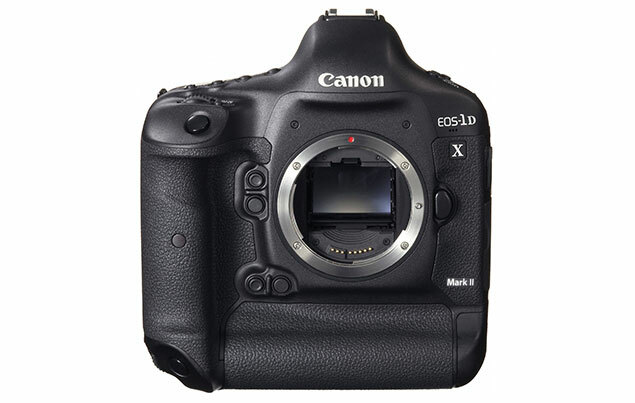 I expect the EOS-1D X Mark II to list for just below $7,000. My readers know I am the Wildlife Ho-tographer using Canon equipment for 25 years. One of the things I enjoy most, besides taking photographs, is having people accompany me to some of my favorite locations. Sharing the experience I love with others is very fulfilling. For 2016, I will open up three of my photo safari tours to fellow wildlife enthusiasts and photographers and have up to four participants join me on my travels. First trip takes us to the jungles and cloud forests of Costa Rica in search of many species of Hummingbirds, other avian and wildlife. The second trip brings us to the High Arctic for exhilarating whale and Polar bear encounters few places on earth can match. Third trip will be to Botswana and South Africa for a 'Big Five' photo safari. There are no cost to accompany me on these tours. I am not organizing the tours for anyone and is not responsible for anything. Participants who choose to join me do so on their own free will and risk. They pay their own way and if desire, they desire, they are welcome to use the travel providers I utilize to facilitate my trips. 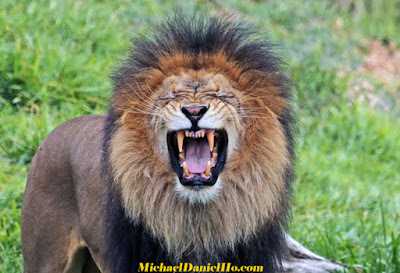 Please email me at Info@MichaelDanielHo.com if you would like to join yours truly on these adventures and share some of our travel tales and experience in photographing wildlife. You can see my equipment bag, follow me on Facebook, Instagram, Flickr, Twitter and this Blog and keep up with my travels and see photos from previous trips on my wildlife photography page. Costa Rica has as many micro climates and for 10 days we will devote most of it to photographing the birds and wildlife of this wonderfully exotic country. From waterfalls to cloud forests to spectacular volcanoes, this tour will take in the best Costa Rica has to offer. Toucans and Hummingbirds are two of many birders' favorite bird species and there should be plenty of them down there. Hummingbirds belong to the family of birds known as Trochilidae. They are among the smallest avians, most species measure about 3 to 5 inches in length and generally weigh between one to two tenth of an ounce. The smallest is the Bee Hummingbird and the largest is the South American Giant Hummingbird, which can weigh about an ounce. Travel to Selva Verde Rainforest Reserve for an unforgettable experience. We will concentrate on the Sarapiqui Rainforest Preservation Area in the lush lowlands of northeastern Costa Rica. In addition to the many species of birds, animals and amphibians, local attractions such as the Braulio Carrillo National Park, the Arenal and Poas Volcanoes, and the Heliconia Island Botanical Gardens are also on our list to visit and explore. 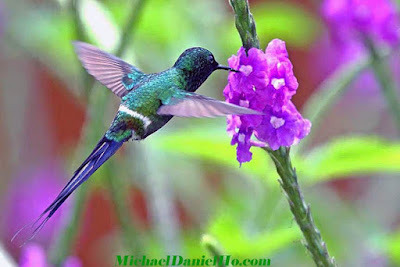 Click on my Hummingbirds and Bird Photography pages to see more photos from previous trips. Svalbard, an archipelago in the Land of the Midnight Sun, deep inside the Arctic Circle. 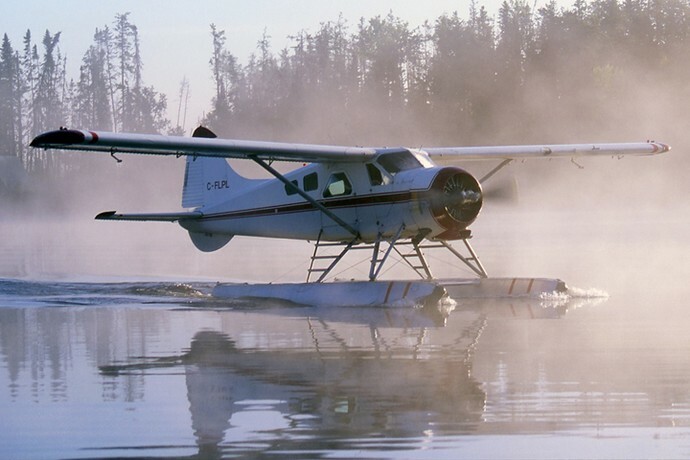 In the summer months, there is 24 hour daylight and the weather, seas and ice flows can be unpredictable. It can range from a blustery, snowy day with 40+ knots winds to sunny, T-shirt weather the next. The wildlife in Svalbard is diverse. 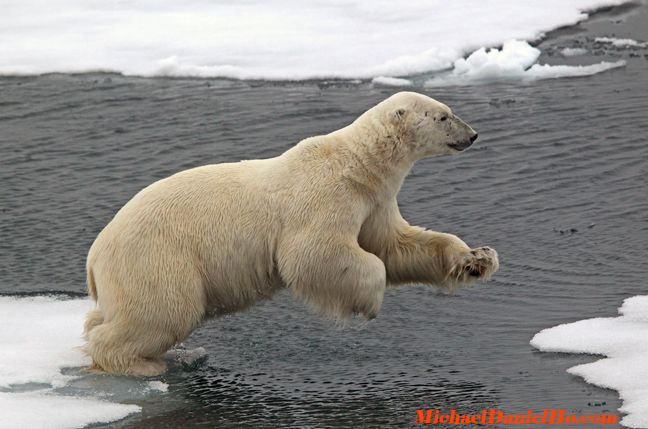 There is a population of about 3,000 Polar bears on the islands, together with indigenous herds of Reindeer. Arctic foxes, Atlantic Walruses, many species of cetaceans, including Humpback and Killer whales, dolphins, seals and pelagic birds can be found among the ice floes, cliffs and numerous islands and coves. We will go on a small expedition ship for 10 days in search of Polar bears and other Arctic wildlife. The unpredictable pattern of ice flows and weather conditions will be a challenge for the ship's captain and photographers and their equipment but the Arctic scenery, replete with glaciers and ice cliffs are so spectacular, one will be too engrossed to worry about the rough seas and temperatures, if one is properly dressed. Longyearbyen, the 'capital' of Svalbard, has a population of about 2,000 people and is quaint but remote. Botswana and South Africa are two countries of breathtakingly beautiful sceneries, majestic wildlife and unique cultures. This 2 week safari tour will take us to Chobe and Kruger National Parks, plus the KwaZulu Natal region of South Africa. The Chobe River in Botswana is one of Africa’s most beautiful rivers. It supports a diversity and concentration of wildlife unparalled anywhere else in the country. The National Park was established in 1968 and covers approximately 4,500 square miles, encompassing floodplains, swamps and woodland. The Chobe River forms its northern boundary. There are four distinct geographical areas in the park : the Chobe Riverfront, the Ngwezumba pans, Savuté and Linyanti. Kruger is one of the largest national parks in Africa, with an area of about 7,600 square miles. The park and surrounding reserves are excellent places to capture 'Big Five' images of Lions, Leopards, Elephants, Rhinos, Cheetahs, Hippos, Cape Buffaloes, Giraffes, Zebras and many other wildlife. There are also hundreds of species of birds to marvel and photograph for the ornithologist in some of us. Take a look at the video below from Tyler Fairbank shot on safari in South Africa. The area is characterized as ‘savanna bushveld’ with 6 different landscape types: acacia woodland, open woodland, mopane woodland, combretum woodland, mixed combretum woodland and mixed veld. The critically endangered African wild dog is also a regular visitor to the Reserve. The larger and rarer antelopes such as Roan, Eland and Tsessebe may also be seen but their numbers are still critically low. In between game drives, we may stop in on the neighboring villages to learn about the local culture and traditions. Africa is a far away continent, especially for those who reside in North America but it is truly a fascinating region of the world and this will be a great trip for those who want to concentrate on wildlife photography, with a bit of culture mixed in, time permitting. Click on the Wildlife Photography section of my website to see exciting safari photos from previous trips. There is a top-rated merchant on eBay selling the Canon EOS-1D X camera for $3,899 including free shipping. This is an excellent deal and my readers know I have picked this camera as the best full frame DSLR body three years in a row for sports and wildlife photography. This camera is on its way to have a 4 year replacement cycle and the Mark II should be out by early 2016. You can read the latest post on the new camera here. Although the Mark II is scheduled to come out in a few short months, not everyone needs or wants to upgrade to the latest and greatest. The current model is a fine camera and at almost half the price of the new body, it is really a bargain. I expect the EOS-1D X Mark II to list for just below $7,000. Canon is expected to announce the EOS-1D X Mark II and EOS-5D Mark IV cameras some time in Q1 and first half of the 2016, respectively. My readers know the current EOS-1D X camera has been my pick as the best full frame DSLR camera for sports and wildlife photography three years in a row. In addition to the two expected cameras, Canon is also expected to announce more EF, EF-S and EF-M lens in 2016. 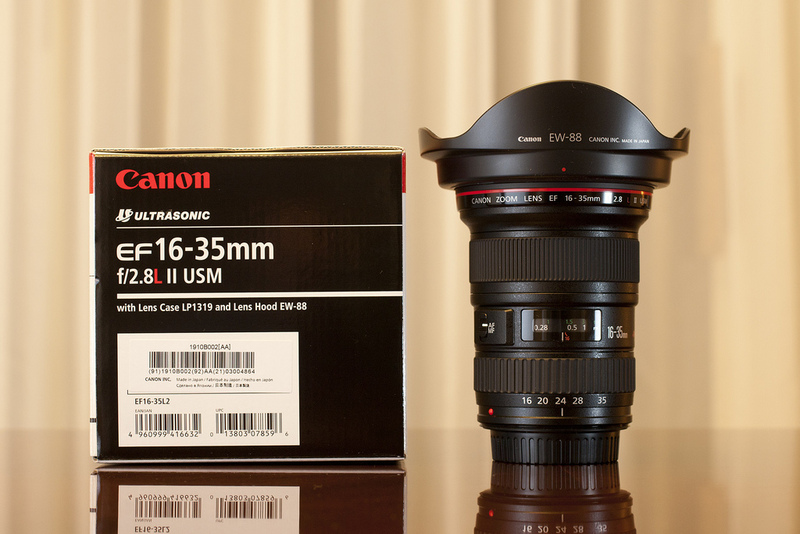 One lens of particular interest to me is the EF 16-35mm f/2.8L III. The current model is my favorite wide angle glass and accompanies me on all my wildlife photo shoots. The Mark III model should be announced in 2016, perhaps after or in conjunction with either camera but IS will not be a feature on the new lens. It will have the latest Blue Spectrum Optics technology and retains the same filter diameter. It may be slightly heavier due to the new optics and comes with superior weather sealing. I will be most interested in upgrading to this new lens. You can see my equipment bag and works on MichaelDanielHo.com. The Japanese photography blog Egami has uncovered a new Canon patent for a 20-45mm f/2.8-4 lens. As reported in my earlier posts, Canon is expected to announce more EF, EF-S and EF-M lens in 2016. The following notice is from Canon Professional Network, Europe concerning the C300 Mark II 4K camcorder. Last month, there was an issue with some cameras experiencing skipped frames. The matter is being looked into by Canon. 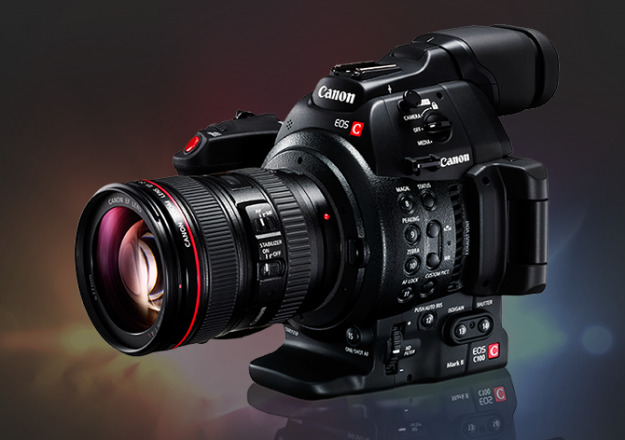 Owners and purchasers of the Canon EOS C300 Mark II camcorder can now benefit from a new lens mount service option which offers the capability to change the 4K Digital Cinema Camera’s original EF mount to EF Mount with Cinema Lock or to a PL mount and back again. The Lens Mount Replacement service can be booked in at the Canon Regional Competence Centres (RCC) in France, Germany, Italy, Sweden or the UK. Alternatively, the PL lens mount and SHIM kit are also available for direct sale. Canon has also revealed that from early 2016 a PL mount version of the C300 Mark II will be available to purchase in all EMEA territories. Up until now the camera has only been available in an EF mount but by January 2016 customers can choose whether to purchase an EF mount or a PL mount version. The upcoming PL mount version of the camera will provide support for all of Canon’s PL mount Cinema lenses and other industry-standard PL lenses (Cooke/i not supported), thus allowing for even greater shooting possibilities. From November 16, 2015, owners will have the option to either send their EOS C300 Mark II to an RCC (either directly or via a local Canon Authorised Service Provider) in order to perform the Lens Mount Service or to purchase a PL Lens Mount and/or SHIM kit directly for self-installation or installation by an RCC. If you choose to purchase a PL Lens Mount directly, or would like to revert the camera back to the original EF mount from a previous mount change, the RCCs will be able perform the mount replacement using your purchased or original Lens Mount. Depending on your requirements, the applicable RCC will supply & install either an EF Mount with Cinema Lock Lens Mount or a PL Lens Mount. Depending on your requirements, the applicable RCC will supply & install either an EF Mount with Cinema Lock Lens Mount or a PL Lens Mount. A SHIM kit will also be supplied for self-installation. Please note : the prices quoted above may be subject to change and exclude VAT and inbound shipping. The prices are inclusive of outbound shipment & Cash On Delivery Surcharges (if applicable). If you want to find out more and download these and other white papers just click here to visit the Canon USA Digital Learning Centre (DLC) or click the links on right hand side of this page to download the specific EOS C300 Mark II white papers. The Canon USA DLC also offers additional, downloadable white papers on the Canon Cinema EOS System via the link above. Adobe has released a new version of Lightroom 6.3 and Lightroom CC 2015.3. Click on the following links to download the new software : Windows | Mac. The new version of Lightroom provides additional camera raw support, lens profile support and corrects software bugs in previous releases. Faster : Adding new photos to irista will be much quicker. Easier : Zooming through time will be more fun, with our simpler design. Better organised : Duplicate photos you add will be automatically removed and your photos will always be displayed by the date taken. 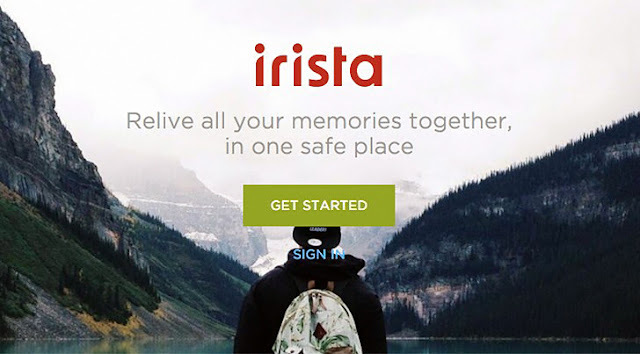 Mobile : Free up space on your phone by automatically saving all your phone’s photos to irista with our iOS and Android apps. Shared : Easily create and share collections with friends, whether they use irista or not. There’s a sneak peek of the new version here at http://preview.irista.com. And some answers to questions here. 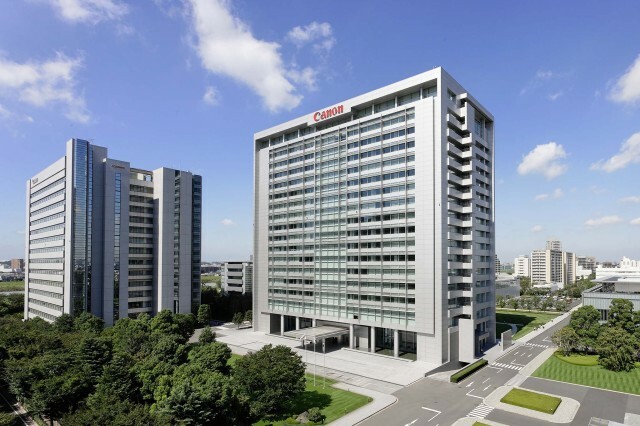 Canon, the largest photographic equipment manufacturer in the world has experience a drop in profits in their latest quarter. 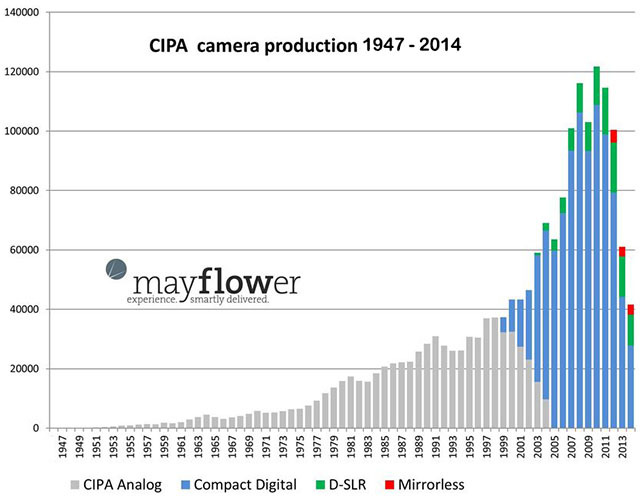 They are hardly alone and based on data published by CIPA, the Japan-based Camera & Imaging Products Association, Mayflower Concepts published the charts below illustrating the trend in camera sales over the past decade. My readers know, I have been a Canon user for about 25 years. Through the decades, I have used almost all of Canon's cropped and full frame, film and digital cameras and lenses. You can see my equipment bag and works on MichaelDanielHo.com. On my recently concluded Polar bear photo shoot in the Canadian sub Arctic, I have used both my smartphone and DSLR cameras to take photos and find the two types of photography perfectly compatible with each other. 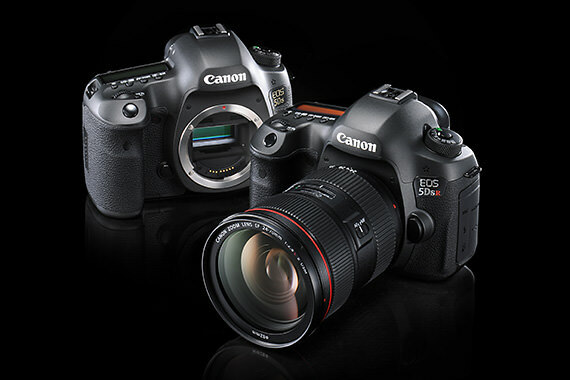 I am waiting for the EOS-1D X Mk II and EOS-5D Mk IV to debut early to mid 2016 for my next DSLR purchase.